Can I upgrade my Mac? A guide to what can be upgraded on your Mac. 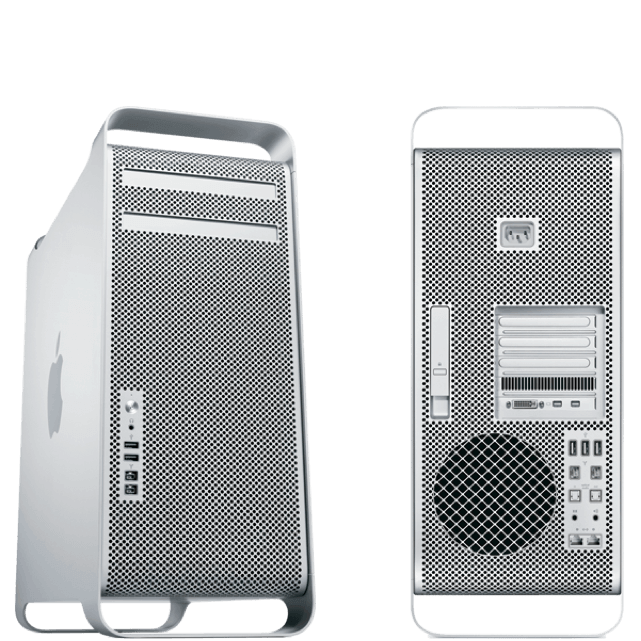 One of the questions we are asked most often is, "can I upgrade my Mac? Is it worth spending money on this model or should I just buy a new one?" The truth is that Apple Mac devices hold their value very well, and with a small investment to keep them up to speed, most users will get a lot of years from their computer without a problem. 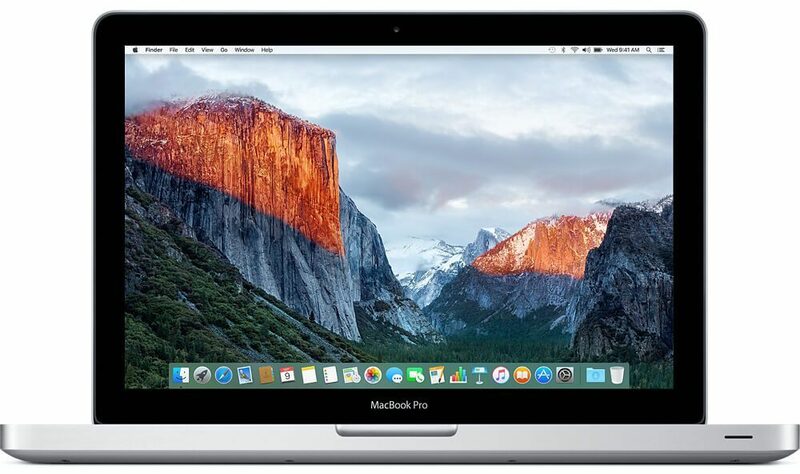 In fact, we upgrade many MacBook Pro models from as far back as 2009 and our customers are thrilled with the performance upgrade, which comes at a fraction of the cost of a new MacBook. It will depend on your personal circumstances and what you’re hoping to achieve with your upgrade, so if you’re not sure, use our contact form to get in touch and our experts will be delighted to get back to you. Otherwise, read on to see which upgrades are compatible with your device. There’s also a bit more information below. What is a 'Fusion Drive'? 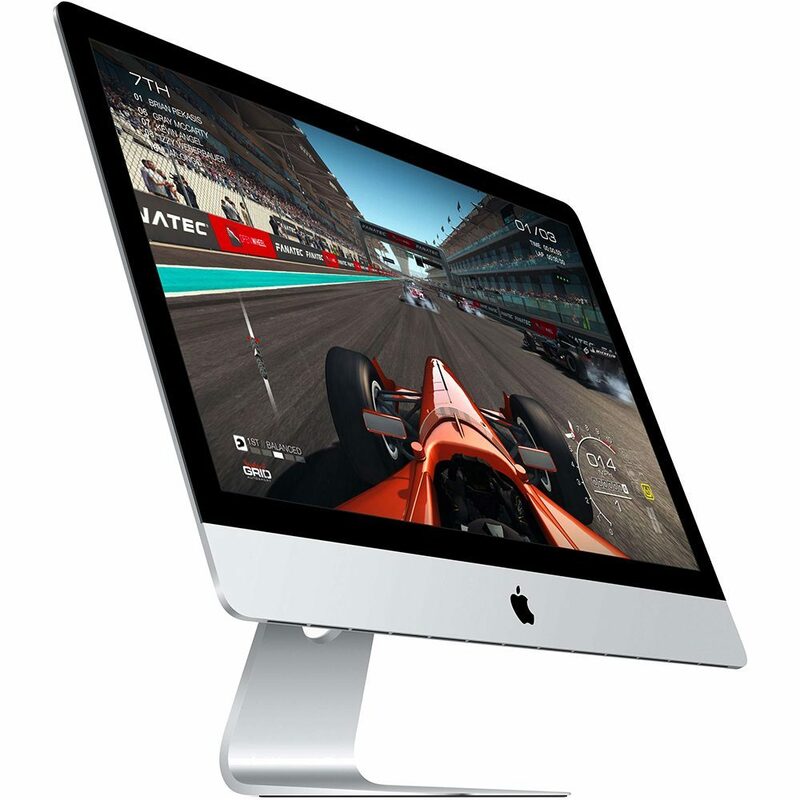 Fusion Drive is a new type of storage for some models of MacBook and iMac computers, that has the performance of Flash storage, but with the capacity offered by a hard drive. Your Mac will see the Fusion Drive as a single volume, but it’s actually consists of a conventional hard drive and super fast Flash storage. 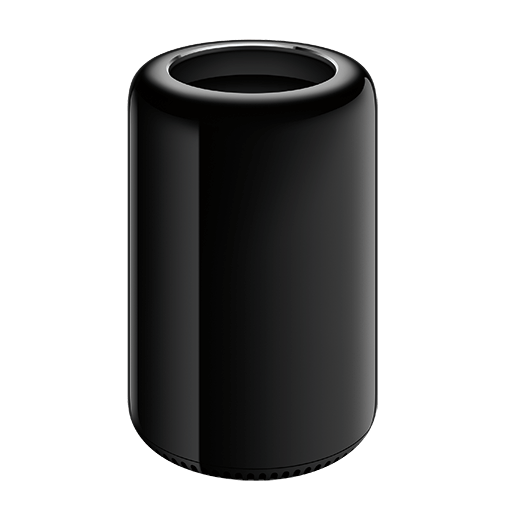 The Fusion Drive is able to automatically move commonly used files to the faster Flash storage, for almost immediate access, while less commonly used files move to the hard disk. You will see much shorter startup times for your Mac, and as the operating system learns how you work, you will also see applications launch faster. Fusion Drive handles all this in the background, automatically. High Sierra, macOS 10.13, which will arrive in Autumn 2017, will bring even more speed boosts for Fusion Drive. 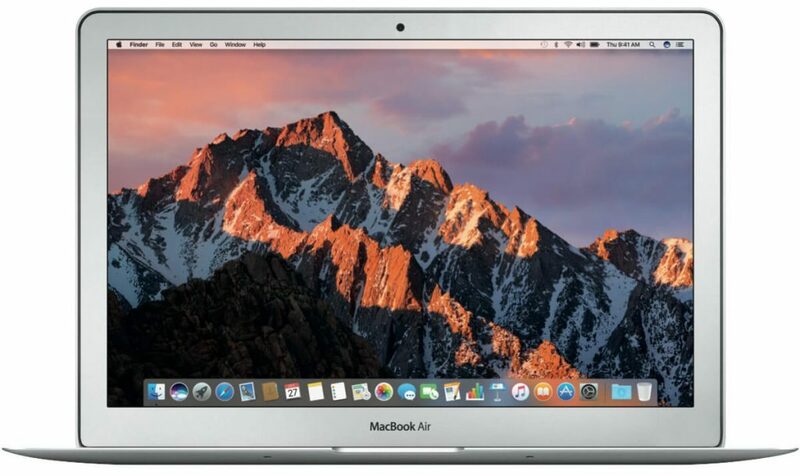 Generally when you purchase a Mac computer, you should buy the best that you can afford at that time. This has been especially true in the last 5 years. Apple has made many decisions about the size and weight of their computers, which has meant that it has become almost impossible to upgrade the RAM on the MacBooks, or the processor on all of the Apple Computers. I say, "almost" because it is still possible. 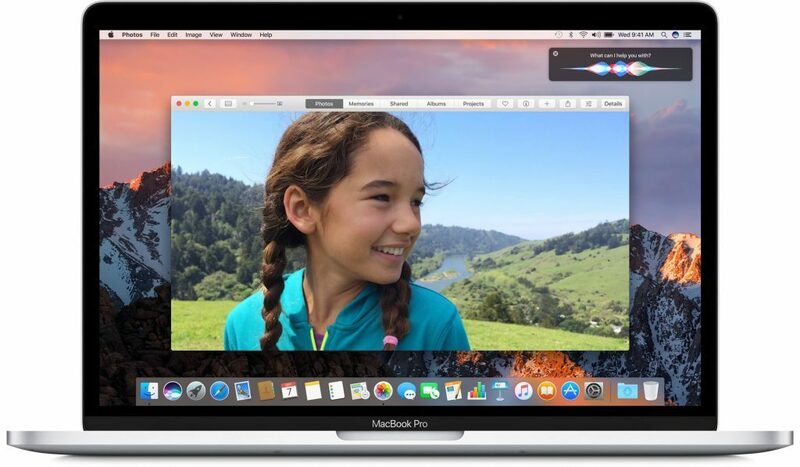 It is a premium upgrade which can cost several hundred pounds, but it will dramatically increase the speed of a retina MacBook Pro, and is still much less than the cost of buying a new MacBook Pro from Apple. Have you noticed that when your MacBook is on battery power, it doesn’t last as long as it once did? That is because all laptop batteries deteriorate over time. In fact all batteries do that too, including the ones in your torch. Generally with an Apple MacBook you will get 1,000 full charges of a battery before it needs to be replaced. if you charge it every night, that’s probably around 3-years worth of battery. But that doesn’t tell the full story. During those years, the battery is getting gradually worse. It could be that the battery life is now only half what you initially achieved when you first bought your MacBook. We can fix that, by replacing the battery in your MacBook with a new Apple genuine battery. Not sure about your model? Don’t worry – there are so many models and we’ve tried to categorise them as best as we could, but if you’re not sure or don’t see your model listed, just get in touch. 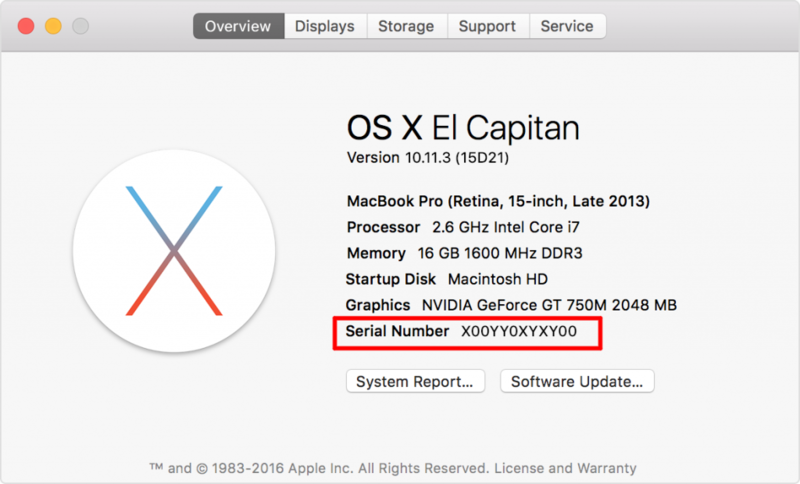 We’ll need the serial number of your Mac to help identify it and offer you model-specific advice. 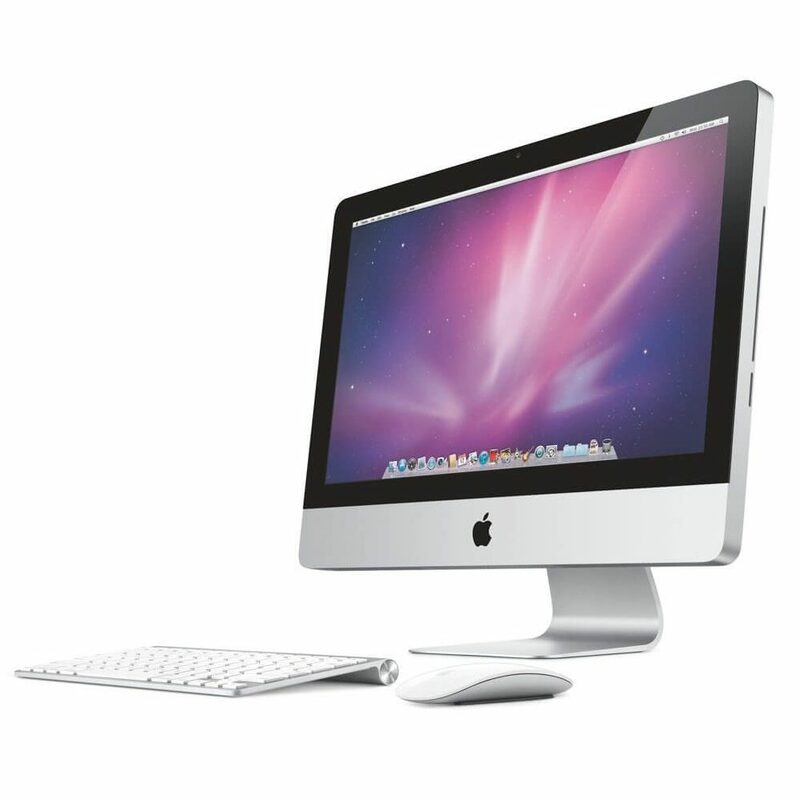 You can get the serial number from the bottom of the chassis, or by clicking on the Apple () Menu then About This Mac.